Queens County Farmers’ Market - the place to be on Saturday mornings! Wondering what to do this Saturday morning? Fancy shopping somewhere a bit different? Or would you just prefer to meet up with friends for breakfast or a coffee and cinnamon roll? 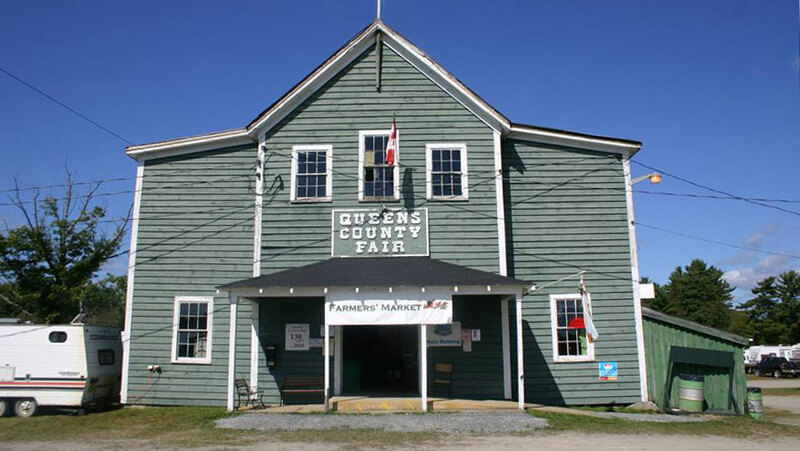 Come check out the Farmers’ Market to the Queens County Exhibition Grounds in Caledonia. There had not been a market here since the 1980’s when there was a thriving market in the same location - until we saw a return in interest from local producers and buyers from the local community, summer campers and visitors to Keji. From June till September every Saturday from 9am till 1 pm, with local produce such as fresh baking, locally grown fruit and vegetables, meat, fish, pickles and plants, plus various hand-made crafts. Breakfast will be available in the exhibition dining hall when other local community breakfasts are not scheduled, primarily the 2nd Saturday 7 - 11am of each month. Those involved in organizing the market would love to hear from anyone who is interested in becoming a vendor or helping out in any way. If you’ve nothing to sell, come along and buy produce that is truly local, fresh and supports the community. See you there! Indoors come rain or shine we'll be here waiting for you!